Winter syndicates allow groups of members (and non-members) to join together to block book an indoor court for the 34-week winter period, which runs from the first week in September (starting Monday 3rd September 2018) to the last week of the Easter holidays (week ending Sunday 28th April 2019). Most syndicates choose to have between 6 and 8 members, splitting the total payment equally between themselves and operating a rota system to allow everyone to play. This year it has been requested that the outcome of the syndicate ballot is made available before the holiday season begins. Please read the syndicate rules and an explanation of how the syndicates work. 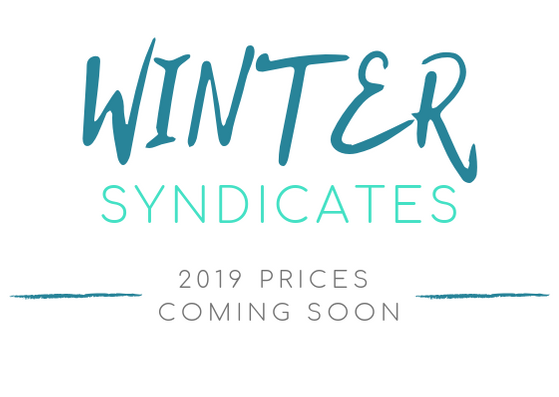 Our winter syndicate prices are available here and the dates and times. Please choose 3 options. Once you have read the rules and decided on your options, please fill in the syndicate application form and return it no later than Friday 6th July. The decision on which court slot you have been allocated will be advised the following week.